Areej Le Doré and Russian Adam have launched a new series of fragrances, including the long-anticipated upgraded version of his celebrated Siberian Musk. 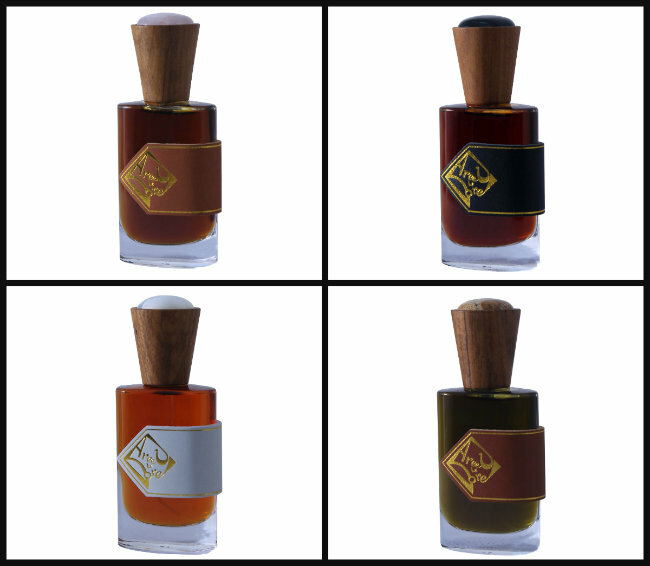 There are five fragrances in total, if one counts the concentrated attar version of one of them as a separate entity which, in my opinion, it really is. 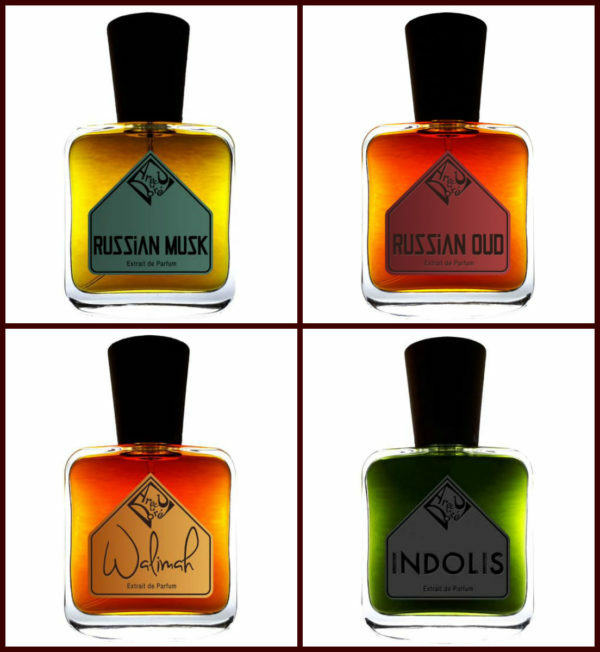 The five releases are: Russian Musk, Walimah Parfum, Walimah Attar, Russian Oud, and Indolis. Today, I’ll give you the basic run-down on launch, the scents, their notes, the sample situation, packaging upgrades, and even include mini reviews or pre-reviews for some of the fragrances. Collage: my own. Photo source: Russian Adam. 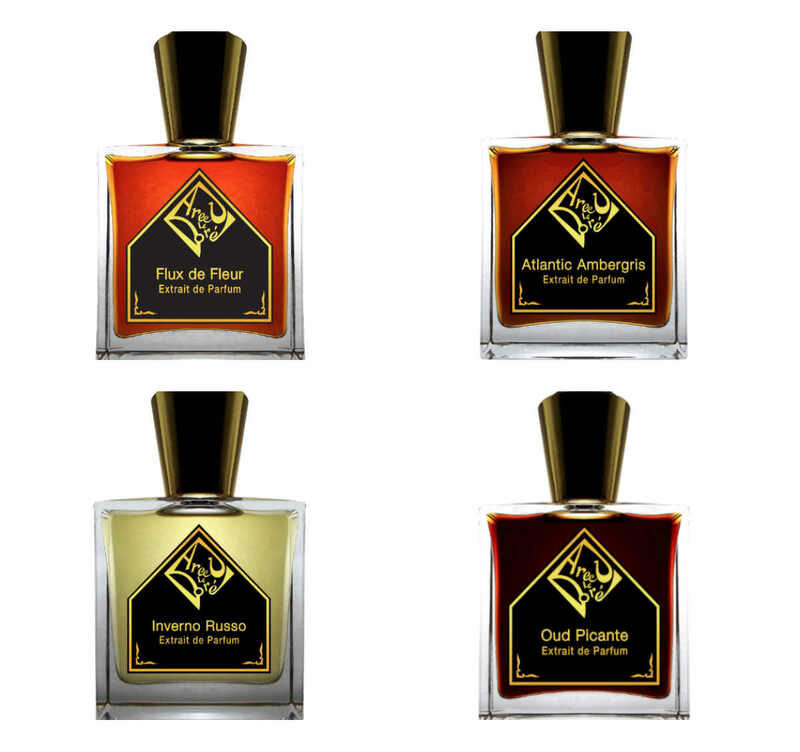 I don’t typically post about new or upcoming launches, but the fantastic debut collection from Areej Le Doré, the limited 100-bottle quantities for the trio, and the speed with which they sold out made me decide to make an exception to my usual rule. This is a brand where the particular circumstances make it worth having advance notice to order samples, having some time to spend getting to know the fragrances, and then deciding if one wants a bottle. Plus, I was once chastised for covering a fantastic Areej Le Doré fragrance soon after it sold out, albeit for completely understandable reasons because it’s frustrating to hear about great scents that come in limited quantities, but I’m not going to make that mistake again, so I’m telling all of you about their launch before I write even a word about them in an actual review. Collage: my own. Original photos: Areej Le Doré and Russian Adam.